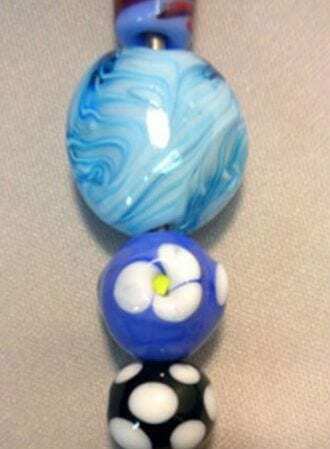 This class will teach you the art of lampworking, a technique of using a torch and melting glass rods to create various shapes. Safety and appropriate equipment handling are emphasized. Your beads will need to stay in a kiln overnight to be annealed. No previous experience necessary. Instructor: Karen Kubby NOTE: Participants must be at least 15 years old. Registration is $105 and includes all materials, instruction, use of studio and tools, and annealing. Register in person, via phone at 319 338-1566, or on-line.